Google is joining the ad-privacy movement, which Facebook is now heavily engaged. The search engine just revamped its Ad Settings interface. (Yes, this is a real thing.) The purpose of the site is to allow users to learn how ads target them and how to reduce said targeting. The refreshed dashboard gives users the power to see all the ad targeting factors in one location. Plus, it provide explanations of why these appear. What’s more, users can switch categories off or tweak the settings. However, it’s not possible to completely disable ad targeting. But, it does provide a bit more granular control. Additionally, when users encounter ads on the web, there will now be a better explanation for their presence. The familiar, “why this ad” explainer now accompanies every Google service that displays such ads. Furthermore, “almost all” of the internet destinations and apps partnered with Google on ads will do the same. So, if there’s a curious promo ahead of a YouTube video, people can find the reason why it’s appearing. Moreover, it’s possible to change ad settings to dismiss it altogether, once and for all. It’s a welcome move, especially at a time when privacy concerns are high. And, when questions remain about how much data tech companies gather on users. The change also follows two United States senators’ formal request for the FTC to investigate Google’s privacy practices last month. 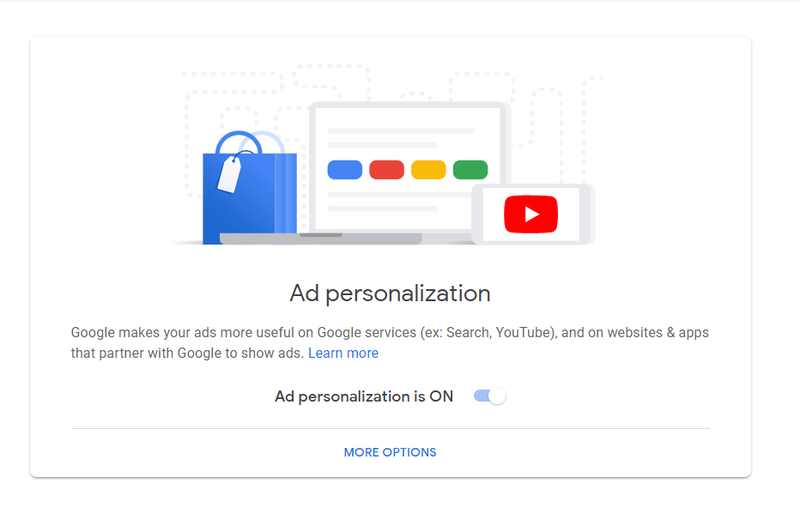 To access the controls, simply go to the Google Ad personalization page.